All staff at Key2support are subject to checks through the Governent Disclosure & Barring service, these are then reviewed every two years. All staff under go an enhanced Disclosure and Barring Service (DBS) check, this was formerly known as CRB; Criminal Records Bureau check. As a care provider, we have a duty to ensure that we safeguard our customers; safeguarding means protecting people’s health, wellbeing and human rights, and enabling them to live free from harm, abuse and neglect. This is fundamental to creating a high-quality home care service. 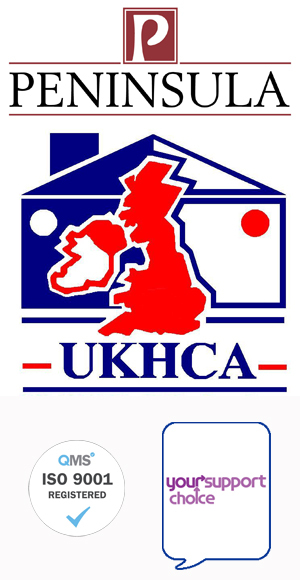 Key2support is registered in England under the Care Quality Commission (CQC). Key2support undertakes regular audits and inspections to ensure total compliance, giving you peace of mind and reassurance. All staff are Trained in the area of Safeguarding & our managers have had Managers Safeguarding Training through Lancashire County Council. The management also ensure regular updates are undertaken to refresh knowledge and keep abreast of current leglislation.